Chapter 135 - Retirement System for Teachers and State Employees; Social Security; State Health Plan for Teachers and State Employees. Article 1 - Retirement System for Teachers and State Employees. § 135-1.1. Licensing and examining boards. § 135-2. Name and date of establishment. §§ 135-3.1, 135-3.2: Repealed by Session Laws 1961, c. 516, s. 9. § 135-4.1. Reciprocity of creditable service with other State-administered retirement systems. § 135-5. (Effective July 1, 2019) Benefits. § 135-5.1. Optional retirement program for The University of North Carolina. § 135-5.2. Chapel Hill utilities and telephone employees. § 135-5.3. Optional participation for charter schools operated by private nonprofit corporations. § 135-5.4. Optional retirement program for State-funded community colleges. § 135-6.1. Member retirement record files held by the Retirement System. § 135-7. Management of funds. §§ 135-7.1 through 135-7.2. Repealed by Session Laws 1979, c. 467, ss. 16, 17. § 135-8. Method of financing. § 135-9. Exemption from garnishment, attachment, etc. ; employing unit to offset amount owed by member or beneficiary. § 135-10. Protection against fraud. § 135-10.1. Failure to respond. § 135-11. Application of other pension laws. § 135-12. Obligation of maintaining reserves and paying benefits. § 135-13. Certain laws not repealed; suspension of payments and compulsory retirement. § 135-14. Pensions of certain former teachers and State employees. § 135-14.1. Certain school superintendents and assistant superintendents. § 135-15: Repealed by Session Laws 1949, c. 1056, s. 9. § 135-16. Employees transferred to North Carolina State Employment Service by act of Congress. § 135-16.1. Blind or visually impaired employees. § 135-17. Facility of payment. § 135-18: Repealed by Session Laws 1969, c. 1223, s. 14. § 135-18.1.  Transfer of credits from the North Carolina Local Governmental Employees' Retirement System. § 135-18.2: Repealed by Session Laws 1959, c. 538, s. 3. § 135-18.3. Conditions under which amendments void. § 135-18.4. Reservation of power to change. § 135-18.5. Provision for emergency expenses of integration of System. § 135-18.6. Termination or partial termination; discontinuance of contributions. § 135-18.7. Internal Revenue Code compliance. § 135-18.8. Deduction for payments allowed. § 135-18.9. Transfer of members from the Legislative Retirement System or the Consolidated Judicial Retirement System. § 135-18.10. Forfeiture of retirement benefits for certain felonies committed while serving as elected government official. § 135-18.10A. Forfeiture of retirement benefits for certain felonies related to employment or holding office. § 135-18.10B. Prohibition on purchase of forfeited service. § 135-18.11. Improper receipt of decedent's retirement allowance. Article 2 - Coverage of Governmental Employees under Title II of the Social Security Act. § 135-19. Declaration of policy. § 135-21. Federal-State agreement; interstate instrumentalities. § 135-22. Contributions by State employees. § 135-23. Plans for coverage of employees of political subdivisions. § 135-25. Rules and regulations. § 135-26. Studies and reports. § 135-27. Transfers from State to certain association service. § 135-28. Transfer of members to employment covered by the North Carolina Local Governmental Employees' Retirement System. § 135-28.1. Transfer of members to employment covered by the Uniform Judicial Retirement System. § 135-29. Referenda and certification. § 135-30. State employees members of Law-Enforcement Officers' Benefit and Retirement Fund. Article 3 - Other Teacher, Employee Benefits; Child Health Benefits. §§ 135-32 through 135-33.1: Repealed by Session Laws 1981 (Regular Session, 1982), c. 1398, s. 1. § 135-34: Repealed by Session Laws 1987, c. 738, s. 29(l). § 135-35: Repealed by Session Laws 1981, c. 859, s. 13.17; 1981 (Regular Session, 1982), c. 1398, s. 1. § 135-36: Repealed by Session Laws 1981 (Regular Session, 1982), c. 1398, s. 1. §§ 135-37 through 135-42.1: Recodified and renumbered as G.S. 135-43 to 135-47.3. Article 3A - Other Benefits for Teachers, State Employees, Retired State Employees, and Child Health. §§ 135-43 through 135-47.3: Recodified as Article 3B of Chapter 135 by Session Laws 2011-85, ss. 2.4 through 2.8, effective January 1, 2012. § 135-48: Reserved for future codification purposes. Article 3B - State Health Plan for Teachers and State Employees. § 135-48.3. Right to amend. § 135-48.4. Conflict with federal law. § 135-48.5. Health benefit trust funds created. § 135-48.6: Reserved for future codification purposes. § 135-48.8. Statements of public interest. § 135-48.9: Reserved for future codification purposes. § 135-48.10. Confidentiality of information and medical records; provider contracts. § 135-48.11: Reserved for future codification purposes. § 135-48.12. Committee on Actuarial Valuation of Retired Employees' Health Benefits. § 135-48.13: Reserved for future codification purposes. § 135-48.14: Reserved for future codification purposes. § 135-48.15. Whistle-blower protections related to the State Health Plan. § 135-48.16. Fraud detection and audit programs. § 135-48.17: Reserved for future codification purposes. § 135-48.18: Reserved for future codification purposes. § 135-48.19: Reserved for future codification purposes. § 135-48.20. Board of Trustees established. § 135-48.21. Board officers, quorum, meetings. § 135-48.22. Board powers and duties. § 135-48.26: Reserved for future codification purposes. § 135-48.27. Reports to the General Assembly; General Assembly access to information. § 135-48.28. Auditing of the Plan. § 135-48.30. Powers and duties of the State Treasurer. § 135-48.31: Reserved for future codification purposes. § 135-48.32. Contracts to provide benefits. § 135-48.33. Contracting provisions; large contract review by Board of Trustees and Attorney General, auditing, no cost plus contracts. § 135-48.34. Contracts not subject to Article 3 of Chapter 143 of the General Statutes. § 135-48.35. Contract disputes not contested case under the Administrative Procedure Act, Chapter 150B of the General Statutes. § 135-48.36: Reserved for future codification purposes. § 135-48.37. Liability of third person; right of subrogation; right of first recovery. § 135-48.37A. Employing unit cooperation in collection of amounts owed to Plan. § 135-48.38. Persons eligible for Medicare; optional participation in other Medicare products. § 135-48.39: Reserved for future codification purposes. § 135-48.40. Categories of eligibility. § 135-48.41. Additional eligibility provisions. § 135-48.43. Effective dates of coverage. § 135-48.44. Cessation of coverage. § 135-48.46. Settlement agreements by employing units. § 135-48.47. Participation in State Health Plan by local government employees and dependents. § 135-48.48: Reserved for future codification purposes. § 135-48.49. IRC Sections 6055 and 6056 regulatory reporting. § 135-48.51. Coverage and operational mandates related to Chapter 58 of the General Statutes. § 135-48.52. General limitations and exclusions. § 135-48.54. Optional participation for charter schools operated by private nonprofit corporations. § 135-48.55. Interest charged to charter schools and local government units on late premiums. § 135-48.56. Education of covered active and retired employees. § 135-48.57. Payments for county or city ambulance service. § 135-48.58. Premiums for firefighters, rescue squad workers, and members of National Guard. § 135-48.59: Reserved for future codification purposes. § 135-48.60: Repealed by Session Laws 2012-173, s. 3(d), effective January 1, 2013. § 135-48.61: Repealed by Session Laws 2012-173, s. 3(d), effective January 1, 2013. § 135-48.62: Repealed by Session Laws 2012-173, s. 3(d), effective January 1, 2013. § 135-49: Reserved for future codification purposes. Article 4 - Consolidated Judicial Retirement Act. § 135-50. Short title and purpose. § 135-52. Application of Article 1; administration. § 135-54. Name and date of establishment. § 135-56.01. Reciprocity of creditable service with other State-administered retirement systems. § 135-56.1: Repealed by Session Laws 1983 (Regular Session, 1984), c. 1031, s. 16. § 135-56.2. Creditable service for other employment. § 135-56.3. Repayments and Purchases. § 135-58. Service retirement benefits. § 135-60. Disability retirement benefits. § 135-61. Election of optional allowance. § 135-62. Return of accumulated contributions. § 135-63. Benefits on death before retirement. § 135-64. Benefits on death after retirement. § 135-65. Post-retirement increases in allowances. § 135-66. Administration; management of funds. § 135-67. Assets of Retirement System. § 135-68. Contributions by the members. § 135-69. Contributions by the State. § 135-70. Transfer of members to another system. § 135-70.1. Transfer of members from the Local Governmental Employees' Retirement System, the Teachers' and State Employees' Retirement System, or the Legislative Retirement System. § 135-71. Return to membership of retired former member. § 135-72: Repealed by Session Laws 1999-237, s. 28.25. § 135-73. Termination or partial termination; discontinuance of contributions. § 135-74. Internal Revenue Code compliance. § 135-75. Deduction for payments allowed. § 135-75.1. Forfeiture of retirement benefits for certain felonies committed while serving as elected government official. § 135-75.1A. Forfeiture of retirement benefits for certain felonies related to employment or holding office. § 135-75.1B. Prohibition on purchase of forfeited service. § 135-75.2. Improper receipt of decedent's retirement allowance. § 135-76: Reserved for future codification purposes. Article 4A - Uniform Solicitorial Retirement Act of 1974. §§ 135-77 through 135-83: Repealed by Session Laws 1983 (Regular Session 1984), c. 1031, s. 24. Article 4B - Uniform Clerks of Superior Court Retirement Act of 1975. §§ 135-84 through 135-86: Repealed by Session Laws 1983 (Regular Session, 1984), c. 1031, s. 24. § 135-87. Reserved for future codification purposes. § 135-88. Reserved for future codification purposes. § 135-89. Reserved for future codification purposes. Article 5 - Supplemental Retirement Income Act of 1984. § 135-90. Short title and purpose. § 135-95. Exemption from garnishment, attachment. § 135-96. Supplemental Retirement Board of Trustees. § 135-98 Reserved for future codification purposes. § 135-99 Reserved for future codification purposes. Article 6 - Disability Income Plan of North Carolina. § 135-100. Short title and purpose. § 135-105. Short-term disability benefits. § 135-106. Long-term disability benefits. § 135-107. Optional Retirement Program. § 135-108. Post disability benefit adjustments. § 135-109. Reports of earnings. § 135-110. Funding and management of funds. § 135-111. Applicability of other pension laws. § 135-111.1. Improper receipt of decedent's Disability Income Plan allowance. § 135-113. Reservation of power to change. § 135-114. Reciprocity of membership service with the Legislative Retirement System and the Consolidated Judicial Retirement System. § 135-115: Reserved for future codification purposes. § 135-116: Reserved for future codification purposes. § 135-117: Reserved for future codification purposes. § 135-118: Reserved for future codification purposes. § 135-119: Reserved for future codification purposes. § 135-120: Reserved for future codification purposes. § 135-121: Reserved for future codification purposes. § 135-122: Reserved for future codification purposes. § 135-123: Reserved for future codification purposes. § 135-124: Reserved for future codification purposes. § 135-125: Reserved for future codification purposes. § 135-126: Reserved for future codification purposes. § 135-127: Reserved for future codification purposes. § 135-128: Reserved for future codification purposes. § 135-129: Reserved for future codification purposes. § 135-130: Reserved for future codification purposes. § 135-131: Reserved for future codification purposes. § 135-132: Reserved for future codification purposes. § 135-133: Reserved for future codification purposes. § 135-134: Reserved for future codification purposes. § 135-135: Reserved for future codification purposes. § 135-136: Reserved for future codification purposes. § 135-137: Reserved for future codification purposes. § 135-138: Reserved for future codification purposes. § 135-139: Reserved for future codification purposes. § 135-140: Reserved for future codification purposes. § 135-141: Reserved for future codification purposes. § 135-142: Reserved for future codification purposes. § 135-143: Reserved for future codification purposes. § 135-144: Reserved for future codification purposes. § 135-145: Reserved for future codification purposes. § 135-146: Reserved for future codification purposes. § 135-147: Reserved for future codification purposes. § 135-148: Reserved for future codification purposes. § 135-149: Reserved for future codification purposes. Article 7 - Qualified Excess Benefit Arrangement. § 135-151. Qualified Excess Benefit Arrangement.